Finding yourself here, there are great chances that you’re no stranger to how the sales machine works. You probably know that you need a stream of new leads to keep your business running too. Browsing the web you’ll find plenty of tips and hacks on how to make your potential customer buy your service. How to make him really want to start a relationship with your brand? Pipeline full of leads is a proof that long months spent on analyzing data, brainstorming and developing a marketing strategy were worth it. New leads are the greatest priority of every marketer worth his salt. What we call lead generation is the process of attracting new prospects to your brand by making them naturally interested in what you have to offer. Each brand has a great lead potential that you just have to unlock with a right marketing strategy. What marketing strategies are considered inbound and outbound lead generation? There’s a question you need to answer to get the idea: who initiates the first contact? When it’s a company, it’s definitely the outbound approach. We can talk about the inbound lead generation when it’s the customer who speaks up first. Cold calling, cold mailing, good old-school advertising, display ads – classic examples of the outbound lead generation. Blogging, webinars, social media activities? Definitely the inbound marketing. When done right, outbound can bring you excellent results in a flash. However, it usually requires spending much more money and works only as long as you run the campaign. With inbound marketing you attract your potential customer with useful content, giving him some kind of knowledge. If he took an interest in some material you published, it’s very likely that, at some point in future, he may need your product or a service. You’re not pushing him to make a purchase now, just gently introducing him to your company. You wait for him to be ready to buy and in the meanwhile remind him of your company with marketing automation or retargeting. Plus, the content you created will stay in the web forever, potentially bringing some leads over a longer period. There’s no one golden rule about what method will work for your company. Outbound is still a perfect source of leads for lots of companies; others focus on inbound activities. Some say it’s a quality vs. quantity method. Inbound lead generation allows qualifying leads that may be genuinely interested in your service and perform real user-centric marketing. Remember, there is no one silver bullet for every business. Test and measure different solutions to find the method suiting your prospects’ needs. Is B2B Lead Generation Completely Different Than B2C? B2B gives more serious context, obviously. The value of that kind of purchase is always higher than a regular B2C one. Especially when the company works in the SaaS model, where it’s more like 400$ per month vs a one-time 100$ purchase. Second thing, there’s often more than one person involved in the decision process. It can look like that: a marketing specialist finds the software that may be beneficial to him and the company. It’s a serious expense and it’s not his money to spend – he’ll have to pitch it to his boss. Why do they need it? What problems does it solve and when will the company see the results? Acquisition of a thousand-and-more-worth-lead requires putting lots of work and effort. B2B marketers struggle to come up with new creative ideas for bringing attention to their company and spend tremendous amounts on paid campaigns. Their life would be much easier if they followed one simple rule. You can’t force anyone to buy from you. Stalking your prospects with cold calls and ads may guarantee you their lifetime aversion. Instead, work on making them want your product and building their professional future along with your company. Think less sales, more help. Do you remember your first days at new job? I bet you faced some new challenging tasks you were not sure how to complete. Everyone wants to skill up and look good in front of a new team, so you probably spent hours on browsing the web in search of the know-how. Possibly there was someone who provided you with the content that helped you shine on a meeting, deliver an important project or bring your company new customers. Let’s say that this brand also offers a paid solution thematically related to your field of interests. There’s a chance that someday you may need it. Probably, it won’t be the only choice on the market, but who will come up to your mind at first? The exact company that helped you once – if their content brought you some value, they left you with the good impression. By giving you what you needed, they became your teacher, expert and a friend. It’s natural that their product will seem attractive. That’s what’s called brand awareness. 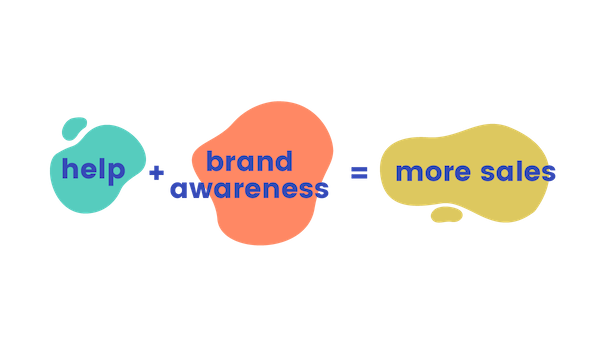 So remember, help + brand awareness = more sales. No matter if we’re talking about B2C or B2B lead generation, you have to remember that behind every purchase stands a living breathing human. Although he represents a company, he has his own goals, fears and habits. Your job is to help him solve some issue and improve his results, maybe even get a raise or promotion. Selling your product with no focus on emotions is so 90s. Don’t get stuck in the past. A great marketer makes the prospects like his brand. As social creatures we care about personal relationships – they make us feel safe and comfortable. According to Robert Cialdini, we are much more likely to say yes to someone we know and like. Make your communication feel personal and don’t be afraid of using humor – it’s a great way to build trust and that is what that’s all about. Work on your buyer’s personas and come up with marketing solutions that won’t be entirely about your company, but about helping and building trust. It’s not an easy job and definitely not a quick one. Delight your leads with excellent customer service and more freebies. Only the knowledge about your audience and the market will give you a proper image and let you develop a good marketing strategy. However, It’s good to learn from other people’s experience. Read on to learn about a couple of B2B lead generation strategies, that proved to work best. It won’t be a new one. Stats show that 91% of B2B marketers plan to use content marketing in 2018. If everyone is doing it, would there be a place for me? – You’d ask. Yes – the stats also show, that only few are doing it right – only 37% of B2B marketers have a documented content marketing strategy. Content marketing is a killer when it comes to driving new business leads. Remember what I said about helping and educating? Content is one of the most effective ways to do that. And it’s a great way to start a relationship with a prospect and build trust. In exchange for a valuable content you can ask your visitors to leave their contacts, so you could nurture them with more goodies and build a stronger relationship. How to create a good content strategy that will support your B2B lead generation? It needs to be an answer to what bugs your persona. If not having your buyer personas written down already, I strongly recommend you doing that. Giving your prospect a human face, getting to know his desires, fears and habits, will give you the power to create materials that will solve his problems. Content marketing doesn’t always mean blogging. What other materials are best to give? What’s the secret power of the content? It can be recycled. The great content marketer doesn’t drop the topic after publishing. He squeezes it as much as possible by repurposing it to reach a completely different audience. Did you publish a viral research report? Great, you can shorten it into an infographic. You can compile a series of blog posts and publish an ebook. An ebook can be served in the form of online course or a quiz and you may sum up the information from the webinar into a Slideshare presentation. You get the idea. I’ll give you an example from our LiveChat content experience. We have plenty of articles dedicated to customer service on our blog. We went through them carefully and picked the most valuable advices. Then we used them to create a Customer Service Quiz where one can test his support skills and an email customer service course to help our visitors improve. Although it’s been quite long since we published and promoted these tools, they’re still bringing in traffic – the course generates ca. 100 additional sessions to our content each month and we got over 2,3K of leads from the course. 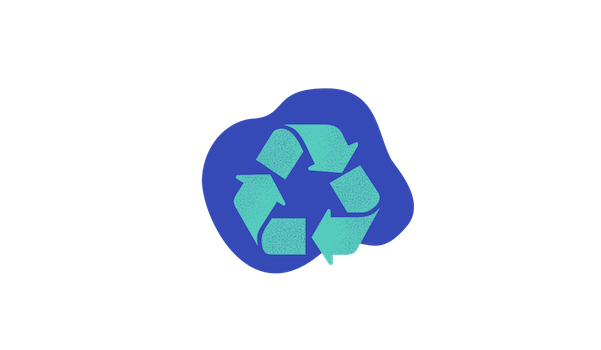 Republishing your content with different formats increases its visibility across the web and gives you the opportunity to test what form is most digestible for your audience. What’s even better than content? Free tools and software. Giving it to your prospects will show that you know the industry inside-out, are aware of their problems and share a similar way of thinking. Help your prospects out with a simple tool that solves their problem or give them some valuable data. It’s crucial for it to support your core service, be free and easily accessible. 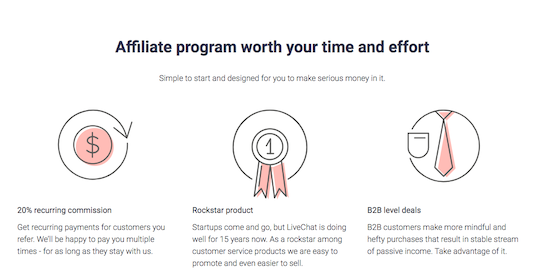 After releasing it, spend some time and money on the promotion – your free tool has to run as an entirely independent product to generate B2B leads. This B2B lead generation strategy works great for us in LiveChat. 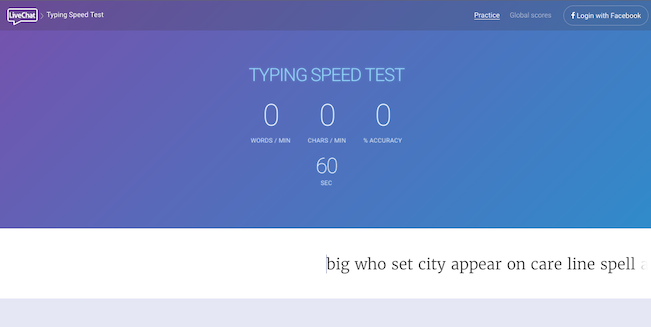 Some time ago we released a Typing Speed Test – a tool for measuring how many words one can type in a minute. It brought us over 445K sessions started for this moment the test was completed 244K times. Need other examples? The Customer Service Benchmark tool brings us a stabile number of 450 sessions per month now, Quizzes – 2,5K sessions with ca. 500 quizzes completed and around 30 people signed to the course each month. Your content is never done. Not refreshing your content means missing out the opportunity for more leads. Track the old content that’s still bringing traffic and update it with new CTAs or a paragraph of text. It will make the material up-to-date and SEO-optimized. You can also enrich it with fresh internal links to the pieces you published in the meantime. It’s both valuable for old content and will give some precious internal links to your new posts. A win-win situation. There’s a whole bunch of industry materials that are packed with hard vocabulary, dull and just indigestible. Great communication may be your niche. Learning new stuff shouldn’t be an unpleasant experience. Be a good teacher that educates in a friendly and fun way. Tell a story, do a little research about your audience’s language and use some humor. It makes you memorable and it makes people like you. And it’s the best way to keep your brand voice friendly and encourage a prospect to take action. Even the best piece of content won’t help anyone if it’s impossible to find it. Marry it to SEO and have it in mind before, while and after creating your materials. As a B2B marketer, one of your most important concerns is to appear on the first page of search engines for chosen keywords. Google is a primary place where an average user looks for information. And the studies show that 75% of users don’t even bother to go past page one. When you’re ranked on top of it, you won. It secures you with some constant number of leads streaming to your pipeline. Do proper keyword research, write your content having good SEO practices in mind and prepare to spend quite a time on getting backlinks. Be careful though and don’t get over-the-top with it. It’s not 2005 – Google developed the algorithms way smarter than the old ones and they’re meant to help the user find what he looks for. Don’t stuff your content with keywords. The only way to rank high on the search engines is to give a user some value added to what they can find on your competitors’ website. Does your audience look for the information on Quora or a specific industry portal? Maybe they start a day with browsing a particularly popular opinion leader’s blog or newsletter? Just make sure you’re there. Portals your audience already visits are a great place to introduce them to your company smoothly. For example, being present on Quora and Reddit and guest posting on other blogs have proven great value as B2B lead generation strategy for many companies. There’s no one perfect recipe nor a list of portals you should appear at. Never stop looking for new touchpoint opportunities. Monitor the web for questions and mentions about your brand or service and jump right in. 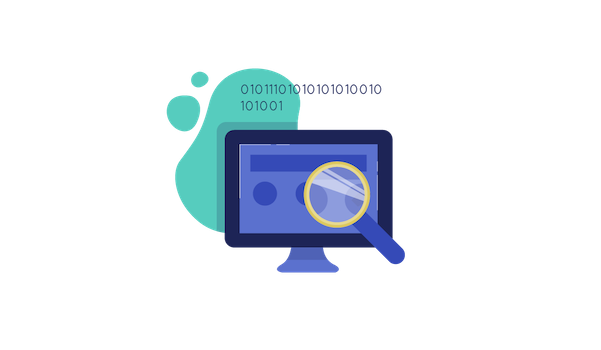 Use tools like Ahrefs to track what domains link to your competitors’ websites and make sure that your brand will be there too. If you share the topic and the audience, there are great chances that people will be glad to link to your content as well (and if it’s better than theirs, you may even outperform it). Just check this guide on how to get your competitors backlinks and get down to work! Be careful though. These B2B lead generation activities are not a place for selling your product directly. The users came in there for the answers and information and can be annoyed with another brand trying to convince them to purchase. Instead, provide them with the answers and solutions, be helpful and build a professional brand image. 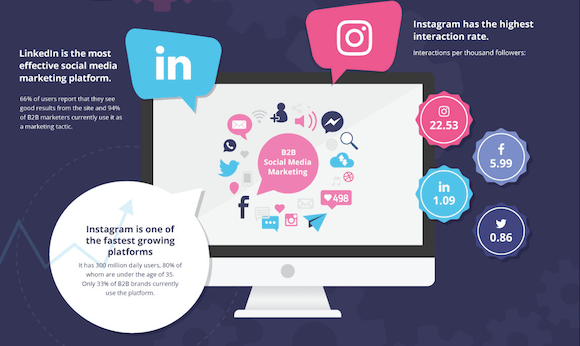 Have you ever put effort into your company social media profile and never actually seen much leads brought from these channels? Missing ROI from social media is easy. It can be a fantastic B2B lead generation tool and a credibility builder. It helps you promote your content, build brand awareness and relationships with both potential customers and influencers. There’s one condition. You have to use your social media strategically. Think who is the audience of each channel and what message you want to share. Think about the audiences of each one and messages you want to share. The competition is enormous, so there’s no place for random channels or activities. For example, an online bank that targets CFOs of big companies as an audience won’t probably generate many sales leads on Instagram. Base your social media strategy on research. Check what platform is your audience active on and test different channels and activities. No surprise here. 94% of B2B marketers claim to use LinkedIn as a marketing tactic and 66% of them sees it bringing good results. Why does almost every B2B marketer look for leads on one single platform? Because they are there. Waiting for you. How to generate B2B leads via LinkedIn? When you’re looking for the most scalable method to gather leads from LinkedIn, there are strong chances that scraping is still the top one. You can use some dedicated tools like Lix or Phantom Buster to mine the data from your prospects’ profiles and compile It into a clean report, ready to filter and add to your CRM. As LinkedIn fights this kind of applications tirelessly, this method is considered a bit shady. But hey, how can one become a great Jedi, when he doesn’t know the Dark Side’s techniques? You can also find a group focused around the topic related to your service and think how you can contribute. Don’t only post your content in there, support the community with quality answers and engage in discussions. It’s a long-distance tactic, but when done right, it will surely pay off. Vast majority of your potential customers have their favorite industry influencers. They read specific portals and subscribe newsletters. Some of them use services of another companies, which could be complemented by yours. Grow your network and let others promote your value to their audience. A recommendation from a reliable influencer or a brand can provide you with brand visibility and bring you a severe stream of B2B leads you wouldn’t be able to reach. Do the research and reach out to respected influencers with big audiences. You can also find companies with a different service than yours, but with a similar target group. Maybe their customers could also be interested in your offer? Teaming up and cross-selling each other products might be a tremendous B2B lead generation tactic. 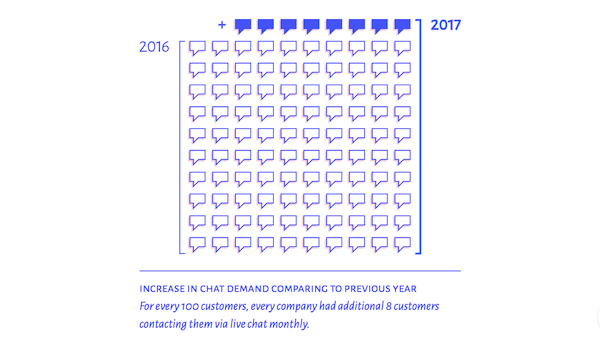 To not leave without any proof, via partner program in LiveChat we gained 2375 new trial sign-ups and 201 paid accounts last month. Email marketing is one of the oldest marketing channels, but if you think it’s a relict, you couldn’t be more wrong. With good strategy, email marketing can be your business’ greatest ally. It’s an excellent tool to stay in touch with your prospects, even if they’re not ready to buy from you yet. They could join your email database by signing up for your newsletter, downloading a premium content or performing some purchase some days ago. It’s great if someone took an interest in your company. Now it’s time to prove him it was the right choice. Take care of their relationship with your brand and keep them up to date with new helpful content, freebies and promotions. Make sure they’ll be the first to know about your new releases. They may not be ready for purchase right now, but when they realize they have a problem your product solves, you’ll be first on their mind. Do some basic customer segmentation based on the situation your contact is in. Is he a reader of your blog? Did he buy something from you a long time ago? Maybe he signed up for a trial and didn’t stay with you later? Target him with a personalized message and content that will give him some value. Have you already grown your lead base and have a regular stream of new ones? You might benefit from one of the most significant email marketing trends in a last couple of years – marketing automation. The automation lets you send highly targeted emails to your prospects based on the point of sales funnel he’s currently in or a particular action he performs. For example, you’d send an entirely different message to a lead who asked you one question on your live chat than to the one who signed up for your webinar. With targeted emails, you give your user a real personal experience and show him that you care about his business and personal success. 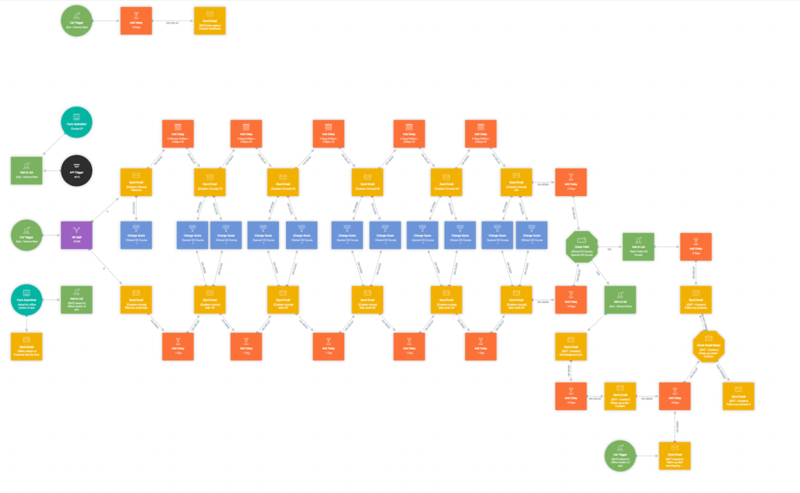 Just take a look at our automated customer journey prepared in Autopilot, a tool for marketing automation, that user joins after signing up for a Customer Service Course. Depending on his actions (opened/not opened the email, clicked/ didn’t clicked etc.) we send him automated follow-ups and additional content. At the end of the path our goal is to make the user sign up for the trial version or contact one of our Customer Success Managers. The journey scores pretty well – the emails have 40,2 % Opening Rate and 12,2% Click Rate. How to generate leads with live chat? Ok, but how can a live chat give you B2B leads? Use the pre-chat survey to ask the visitors for their email before the chats. Even if you don’t manage to close a deal during a chat, you’re left with the email a customer left when joining a chat. Then you can remind about yourself and let them know that they can ask any question they have about your service. What are the results of this mailing? 60% open rate and 22% reply rate. 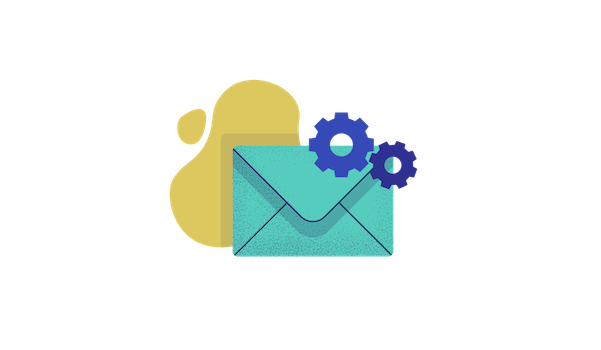 What’s more, email addresses you’ll get can also be added to the mailing list in your marketing automation software to join the email sequence. See how adding a live chat to your website can boost your lead potential. Live chat is a great tool that allows your website users contact you directly, so you could engage in a real-time and get some precious insights about your audience. Are they not sure about your offer? Do they have questions about the pricing? Are they browsing the FAQ page for 20 minutes? Let them ask you a question or start a conversation by optimizing your live chat software with pre-set messages based on a situation they’re in. For example, if your user is browsing your pricing page, your first message could be: “Did you find a plan you were looking for?”. This may probably solve a problem that would make your potential customer bounce. Don’t worry if your sales team can’t spend all of their time on answering every single inquiry. The live chat software is moving with times and you can integrate it with an internal knowledge base available for your team and customers or even consider building a bot, that would answer most popular questions with no need for human intervention. Considering giving this method a try? Find out by yourself and sign up for a free trial. If you’ll like it, we have a 10% discount for you for a nice start of your live chat lead generation. You did proper research, created a couple of buyers personas, brainstormed for a while and came up with your own B2B lead generation strategy. But remember, what you’re having now is only a hypothesis. Testing, measuring and optimizing should be a crucial part of your plan. Don’t guess what channel is best for your business and what type of content will work for your audience. Experiment, do the A/B testing and measure the outcome. What can you test? Basically everything. Starting from lead generation methods and a set of tools dedicated for it, through landing pages and pop-ups, to single headlines and CTAs. Sometimes it will be possible to outsource part of your activities to a professional lead generation company. Would it pay off? Test it. What’s your primary source of leads? What lead generation tactic has the best conversion rate and what’s its ROI? Do your current streaming customers reflect your personas? Keep investing in activities that seem to work and ditch ones that don’t without any regret. It’s that simple. And remember, testing and measuring is an iterative process, that should be a significant part of your usual work week. 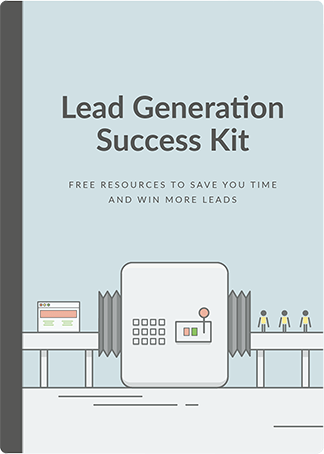 Coming up with a set of B2B lead generation tactics that are right for your company is not easy, but hey, after reading this article you’ve got everything you need to succeed. Use the tips, have a couple of rules in the back of your head and experiment with channels and methods. The ones that I’ve described above are most efficient and possible to implement in every industry. Remember, a modern lead generation for B2B brings good results only if there’s a user in the center. Make sure your brand gives some actual value to your audience. Does it? Now sit and watch the leads fly by. Worried about missing something out? Don’t leave without our short checklist! It will help you keep what you’ve just learned in one place. Save your checklist in a full resolution and get more goodies! Do you have any other tips and techniques that worked well for you in B2B lead generation? Please share them in comments!